Rabbi Moises Benzaquen attended public school in his hometown of Melilla, Spain and continued his higher education in England. He obtained his B.A. degree, with Honors, from Jew’s College, an affiliate of the University of London. Upon completion of the required courses and Sunderland Yeshiva and Montefiore College respectively, he obtained his Rabbinic Ordination from the Sephardic Chief Rabbi Shalom Messas of Jerusalem. The Spanish and Portuguese congregation at Holland Park, London served as his first pulpit from 1975 to 1981, followed by two years of intensive post-rabbinic studies for Dayanut at Yeshiva University to qualify as a judge in Jewish Law. Rabbi Benzaquen was called by Kahal Joseph Congregation to assume Rabbinic duties in July of 1983. He worked side-by-side with Rabbi Elias Levy z”l, then took the role of sole spiritual leader in December of 1987. He organized Classes for the Masses, a program that several hundred young people participated in each Monday evening. His kindness and genuine love for the greater community quickly attracted an ever-growing audience of eager participants, both young and old. After a 12 year tenure as spiritual leader, he founded the West Coast Torah Center and also authored a commentary on the Rosh Hashanah and Yom Kippur prayer books. 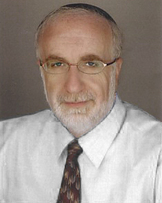 Rabbi Benzaquen was successful in bringing Touro College to the Los Angeles community, a unique national and international institution of higher learning in Judaic and General Studies. In 1996, Rabbi Benzaquen started Kosher LA in order to provide the kosher consumer the opportunity to enjoy The Coffee Bean and Tea Leaf stores. ​Rabbi Jonathan Benzaquen was born in England, lived in Venezuela and Seattle where he graduated Pre-Med from University of Washington. He studied in Far Rockaway, NY at Yeshiva Benei Torah and received rabbinical ordination from Midrash Sepharadi, in the Old City of Yerushalayim, from Harav Yacov Peretz with approbation from the former Sefardic Chief Rabbi of Israel, Rabbi Mordechai Eliyahu. Rabbi Benzaquen was a former Chaver Kollel at the Beverly Hills Sephardic Kollel and the senior Rabbi of the Young Israel of Calabasas. He also received Semicha in Brit Mila from Rabbi Giyat as well as Semicha in Niqur from Rav Yonatan Gabbay. Rabbi Jonathan Benzaquen is currently the Director of Kashrut for Kosher LA. Rabbi Benzaquen was born in Spanish Morocco in the coastal city of Melilla, Spain. At the age of fourteen, Rabbi Benzaquen was accepted to the prestigious Yeshivat Netzach Israel in Sunderland, England where he attended for ten years. He continued his Talmudic studies in London, England, for an additional three years at the Etz Chaim Yeshiva and upon the completion of his Rabbinical studies, Rabbi Benzaquen became the assistant minister of the South end & West Cliff Hebrew Congregation in Essex, England, and served the community there for ten years. Rabbi Benzaquen complimented his work in Essex by attending Jews’ College in London and earned his BA in Jewish studies and graduated with Honors issued by the National Council for Academic Awards of England. With his love for music and Jewish liturgy, he additionally completed a two year program at the Jewish College University, with an emphasis on Askenazik cantorial liturgy and Hazanut, which complimented his already familiar knowledge of Sephardic liturgy. Rabbi Benzaquen additionally received Rabbinic ordination from The Rabbinical Academy of Marseille, France. In 1979 Rabbi Benzaquen was presented with the opportunity to become the Rabbi of Sociedad Israelita in Maracaibo, Venezuela, a community in need of a Rabbi, community leader and Shochet for both Sephardic and Ashkenazic congregations. Rabbi Benzaquen answered the call and the family moved to Maracaibo, Venezuela and lived there for the next five years. In 1984, Rabbi Benzaquen became the Rabbi of the Sephardic Bikur Holim Congregation in Seattle, Washington, a vibrant Sephardic community of Turkish decent with over 300 families. As the rabbi there, he leads every aspect of life cycle events in the Synagogue and Community. Rabbi Benzaquen has been a certified Mohel since 1987, and has become very popular for his services which have been rendered from California all the way to Alaska. As a member of the Va’ad HaRabanim of Greater Seattle, one of his many roles is to be instrumental in writing and assisting couples with Gitin. To better serve the community, in 2006, Rabbi Benzaquen under the auspices of the SSC completed his Dayanut studies in Israel and became a Dayan. Rabbi Benzaquen served as co-chair of the board of Rabbis for the American Sephardi Federation with Rabbi Marc Angel of New York City and during the years of 1992 and 1993, he was appointed Vice President of the Rabbinical Council of America. In 1985, Rabbi Benzaquen was instrumental in introducing legislation whereby all food items labeled “kosher,” must either meet the requirements of Jewish dietary law or be in violation of the Consumer Protection Act. He is currently a member of the Rabbinical Council of America as well as the Executive Council of Sephardic Rabbis of the U.S.A. and Canada. Rabbi Benzaquen is a Sofer for Sifrei Torah, Tefilin and Mezuzoth and a noted artist for his unique style of calligraphy of painted and decorated Ketuboth, marriage contracts. He is also a Shochet for Ofot and Gasot. Rabbi Yossi Azose is a resident of West Hempstead, NY, where he leads the Sephardic Minyan at Congregation Anshei Shalom. He received his semikha in 1995 from Rabbi Yisrael Chait after having learned for eight years at Yeshiva Bnei Torah. Rabbi Azose was a former chaver kollel at the Seattle Kollel and has previously taught at Rambam Mesivta High School in Lawrence, NY, Northwest Yeshiva High School, Torah Academy of Suffolk County and Yeshiva Gedolah of West Hempstead. He currently works as HR director for Superior Healthcare Management, a nursing home operator. Rabbi Benjy Spiro is an LA based Kashrut supervisor. He first started in the Kashrut industry in 2008 where he supervised the Hillel Relief Program to New Orleans following Hurricane Katrina. Rabbi Benjy graduated from the University of Maryland, where he was very active in Jewish life and helped create the current Kosher meal plan as well as partnered in building the campus Eruv. Rabbi Benjy received his Semicha in 2016 from Kollel Ayshel Avraham. He is an HR professional and works as a University Relations Lead for AECOM, an international construction and engineering firm. He also serves as the West Coast Coordinator for Chesed Shel Emes, an organization that helps people in times of bereavement and grief with funeral and burial arrangements.